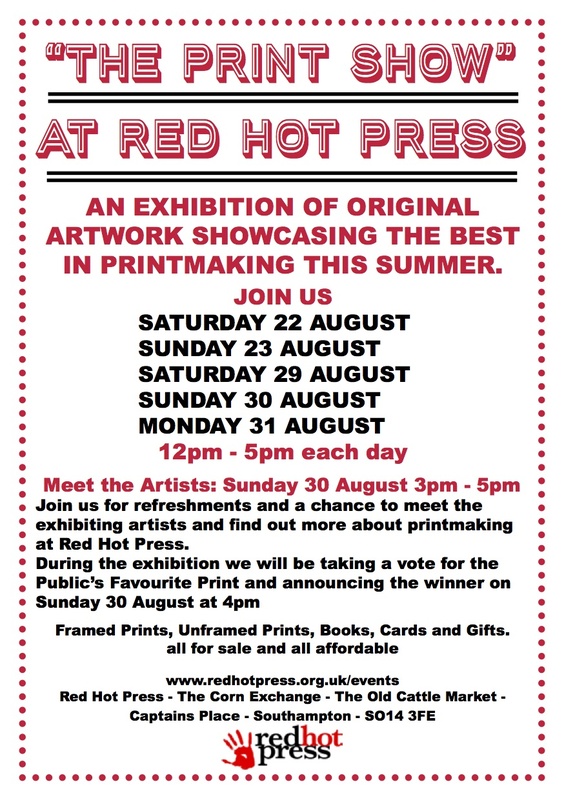 I am delighted to have had work selected to exhibit at ‘The Print Show’ at Red Hot Press in Southampton. Exhibition opens on 22nd August and runs until 31st August. This summer exhibition has been a fixture of the Southampton arts’ calendar for over ten years now and is a showcase of the best printmaking in the area.